Sam is getting ready for her eighteenth birthday, when she can finally leave “rent-a-kid” where she and other kids with paranormal powers are used as spies to the highest bidder. After one of her missions she is taken back to the institute where she sees a guy who links to her mentally asking for help before he passes out. 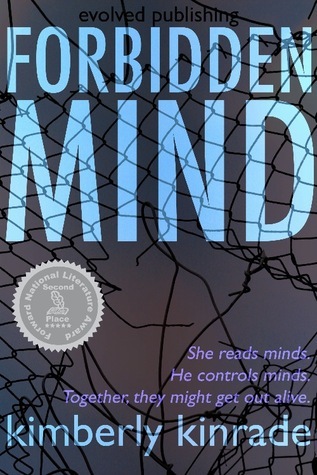 From that moment the two shares a connection that cannot be broken, but Drake has shown Sam a side of the institute she never wanted to believe and they must both fight for their lives to escape. Kimberly Kinrade has a great story going with Drake and Sam even the other students with paranormal powers, but to make it even better about halfway through she throws in a juicy twist making this an amazing read. I didn’t really feel the connection right away between Drake and Sam as the author had intended, I mean for me how can you fall in love with someone with only having seen them once at a glance? But as the story progresses you manage to fall in love right along with them. Putting the twist into this book was a stroke of genius adding a whole new level of depravity to an already atrocious situation. I cannot wait to keep reading, I just hope the author will not lose momentum and will continue to surprise us. Warning: I will do my best to not spoil the first book, but it may contain spoilers despite my efforts. Sam and Drake are on the run this time with one thing on their mind protecting what is most important to them. We also see Lucy and Luke as they are left behind at the “Rent-a-Kid” center determined to get to the truth of the center and hopefully find a way as well. 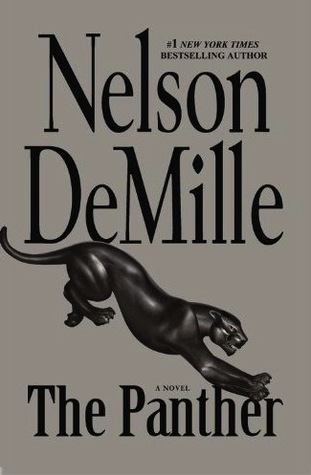 Not as great as the first book but it still has its own twists and turns along the way that makes it a fun read. This time along with Drake and Sam we are able to really get to know Luke and Lucy, Sam’s best friends, and this allows us to continually know what is taking place with all the other kids who are being held at the rent-a-kid center. In doing this the author brings to life many other characters who take part in several of the action scenes along the way. This is definitely and interesting series, the para-powers continue to fascinate me from Luke who can walk through walls to Mary the seductress each one has an attention-grabbing story to tell. I cannot wait to continue on and see where Kimberly Kinrade takes us next. Warning will most definitely contain spoilers of the first two books if you haven’t read them. I will do my best to keep it vague. Sam will do anything to protect Ana now that she has finally arrived, but the powers that be know Ana is going to be the most powerful paranormal child ever to exist and will do anything to get their hands on her. All the while Drake is missing recuperating after what had happened to him in the previous book, and Luke and Lucy are on a mission to put an end to Rent-a-Kid once and for all before they too lose Ana. I still want to kick Drake where it will hurt the most what he did to Sam is despicable. Other than that it was a fun book and obviously the author did a phenomenal job in her descriptive capabilities to evoke such a strong emotion from a reader. I loved the different trials that each of the characters must go through as they face decisions that may change their entire lives. In the end, this was a great conclusion to the trilogy I just wish she had finished off with Luke and Lucy a bit more, but that aside she ties everything up with a nice bow for her readers. I don’t see the point in discussion guides, but then I don’t discuss books with people in such a manner. Unfortunately I found this tedious and some of the questions are meant to make you “think” about the books when I see the trilogy as entertaining, not thought provoking. Though, I must admit that some of the discussion questions have certainly brought the entire trilogy into a new light. This is a great feature for a book club use, for personal use it is interesting and adds focus on where the author was coming from when she wrote these book. So this bit of extra information is really cute, most of it you will know from the books themselves but the descriptions of the characters as well as some of the commentary make this worth the quick read. Hmmm, I am not sure what the point of this is. It seems like a marketing ploy that was used and preserved in the book. Basically it is Sam repeating things from book one and then Drake saying how much he loves Sam. This was a fantastic interview with the author I only wish that the interviewer had been identified. Now with each review and all of the special features, I would definitely recommend this omnibus it’s a great read and the extras are fun and even enlightening. Rafael Navarro refuses to settle down and allow another woman to become victim to his dangerous lifestyle. Fellow T-FLAC operative Honey Winston has no social skills whatsoever and prefers computers to people. When the two team up to stop a serial bomber that threatens the world’s financial infrastructure they begin with butting heads but soon something more begins to grow between them. What I love about romance novels is that no matter what is going on around the main characters they can always make time for a kiss. I haven’t read any of the T-Flac series before this, which is a shame as the book jumps right into it so I may have missed something along the way with this one. I did enjoy it though, this is definitely a fun romantic suspense with tons of action interspersed with soft and tender love what more can you ask for? 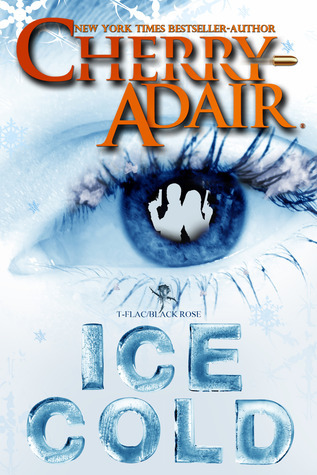 Cherry Adair brought to life a fantastic organization and characters that make this novel amazing. I loved Honey Winston, I mean who can’t relate to liking computers more than people sometimes? The only problem I had with the book is the beginning scene in Germany. I just came back from living the past three years over there and unfortunately a lot of the scene that Cherry Adair created was wrong. I don’t want to go into too many details because if you haven’t been there or haven’t been there recently then you will not even notice it. But if Cherry Adair hadn’t created such a vivid scene I wouldn’t be able to say with certainty that it is wrong. 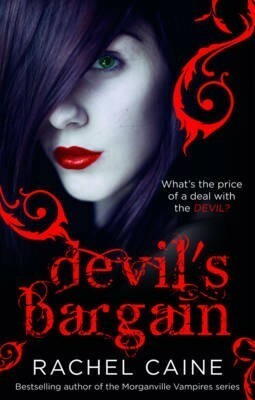 All in all it’s a great romantic suspense and I just might go back and read some more of the series. 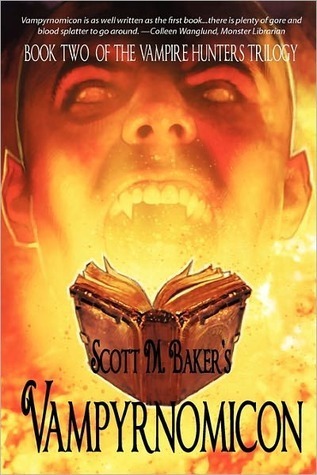 The Vampyrnomicon is a book that can be used to either destroy vampires or mankind, thus begins the race between the vampire hunters and master vampire Chiang Shih and her coven. The vampire hunters seem to be in the lead as one of their own can access the diary pages within the Smithsonian Institute that will hold the key to where the final destination is, but the vampires have a few tricks of their own up their sleeve. A briefer synopsis: action, action, action, sexual encounter, action, action, action, epic ending. Oh yeah it is that intense from the beginning the novel jumps into the fighting and who doesn’t love it when the vampires are bad guys again? There is no redemption for these blood-sucking fiends, from the first page they are the monsters that used to haunt peoples nightmares not the modern day “will you save me” kind. I haven’t had the opportunity to read the first book in the trilogy, but this is ok, the author may have started right up where he left off with the first one but you barely notice all that matters is that you know vampires are bad and vampire hunters are good, from there you are golden. Although the vampires are the bad guys in this book the author encompasses their side of the story into the main plot making it hard to dislike them until they kill someone else who was completely innocent. This is definitely a fun book worth the read, but be warned it is an adult book with highly adult situations.